1) Because of Elnath Industries posting a second consecutive quarter of losses, its stocks tumbled 20% in the last three days. By itself, the word “because” is a subordinate conjunction. What does that mean? It means that this word introduces a subordinate clause. A subordinate clause, like any clause, must have a complete [noun] + [verb] structure within it, like a mini-sentence: in fact, if you drop the subordinate conjunction, the rest of the subordinate clause should be able to stand alone as a sentence. Furthermore, the fact that this clause is subordinate (i.e. dependent) means there must be another independent clause providing the meat-and-potatoes of the sentence. “Because” + [sub. noun] + [sub. verb], [main noun] + [main verb]. 2) Because teenagers are insatiably hungry, their parents are always buying food. Notice that the [noun] + [verb] within the subordinate clause, “teenagers are insatiably hungry”, could work as its own sentence: that’s a great trick to test a clause on the GMAT Sentence Correction. Nevertheless, in this context, “their parents” is the main subject and “are … buying” is the main verb. when it contains an “action word” participle. Even though this could be grammatically correct in a technical sense, many would find this to be in poor taste, and for GMAT Sentence Correction purposes, this is 100% wrong. Example “Because of the President going to Myanmar …” = WRONG! As far as the GMAT is concerned, this is just too much action, too much story, for a preposition to handle. 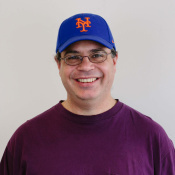 If you are going to have both an action and the person/agent performing the action, then what you need is a clause, not merely a prepositional phrase. 1) We have an actor & an action, so a preposition is not enough: we need a full [noun] + [verb] clause, which means we need the subordinate conjunction “because”. The first two, with the preposition “because of”, are wrong. Choice (C) involves the missing verb mistake — having a [noun] + [participle] in place of [noun] + [verb]. Only (D) & (E) have “because” + [noun] + [verb]. Choice (E) involves a very strange tense: the past perfect progressive — this is not at all required by or appropriate to the context. Thus, the only possible correct answer is (D). Request you to please assist as I am really getting confused between the usage of “Because” and “Because of”. 1) Prepositions are designed to be followed by only a noun ,it can be a gerund or a gerund phrase . when it contains an “action word” participle. What I infer is after a preposition we can either have a noun or a “action word” participle,we cannot have both together . “Because of the uncertainty surrounding the new tax law being debated in congress,the stocks dropped for a third consecutive day”. After the preposition “Because of” we have “uncertainty ” followed by a action participle “surrounding”. And in correct answer we use just two simple past verbs. Why this is correct in this case? I’m happy to respond. 🙂 My friend, never forget that meaning trumps grammar. Language ultimately exists to convey meaning, and so grammar is in every way subservient to meaning, not the other way around. We use the differentiation of past vs. past perfect when there is a meaningful difference in times between two actions, when the time difference between the two actions is part of the story being communicated by the sentence. If I say, “Yesterday I dropped a glass and it broke on the floor” — technically, there are two actions there that happen split-seconds apart, but it would be 100% ludicrous and wrong for anyone to use the past perfect for the first action. In terms of the information being communicated, we don’t care about the split-second difference in time: for practical purposes, for the purposes of the story told by the sentence, the two actions happened essentially at the same time. In other words, the time difference is meaningless and therefore must remain unacknowledged by the grammar. In much the same way, the two actions in the Elnath sentence, posting the losses and stocks tumbling, happen at more or less the same time. The stocks tumbling was an immediate effect of posting the losses: that’s what the sentence communicates. Even if technically there was a small time difference, maybe a 24 hour period, for the purpose of what the sentence is communicating, this time difference meaningless, and as above, any meaningless distinctions must remain unacknowledged by the grammar, because grammar is wholly subservient to meaning. My friend, be careful with “strict rules” of grammar. 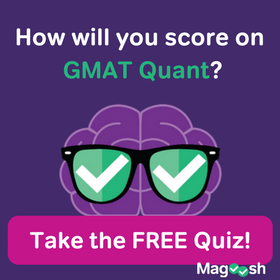 A rigid attachment to strict rules, disregarding questions of meaning, produces sheer nonsense, and the GMAT loves to design questions to punish people who follow such a path. Is this structure applicable for any prepositional structure or just in case of “because of”?? What’s subtle is that for an action word in the participle, a participle that is telling us about an action, this construction is incorrect. BUT, if the participle is purely descriptive, then the construction is fine. “Because of the President going to Myanmar …” = WRONG! “Because of tassels hanging from the edge of his sleeve …” = perfectly fine, because “hanging” is not an action, merely a description. That’s a very subtle distinction. At some point, in the next couple of months, I will publish a blog article that says more about this distinction. I think there is a pronoun error. I think logically “its” refers to Elnath industries’. Can you please clarify? I’m happy to respond. 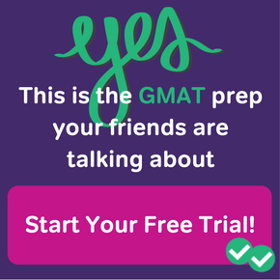 🙂 This is not an error, but this is gray area that you will NOT be expected to know for the GMAT. I wasn’t focused on the pronoun issue when I wrote the question, so I inadvertently included something in a gray area that the GMAT would not test. You see, sometimes nouns that appear plural are construed as singular. Here, I am suggesting that Elnath Industries is a single company with a single stock, so even through the name sounds plural, it is technically singular, and requires both a singular verb and a singular pronoun. The verb issue did not arise in this question, because the action is in the past tense. The words “statistics” and “linguistics” are non-proper nouns in this category: plural in form, but construed as singular. 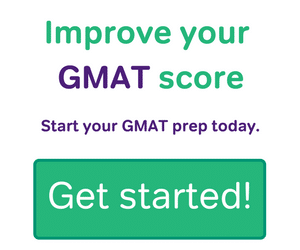 I have NEVER seen the GMAT actually test this point, so I wouldn’t worry about it. 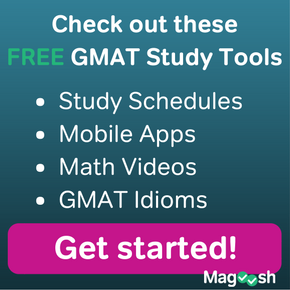 Here, we are getting into deeply contextual nuances that are not entirely related to what the GMAT tests. The former case implies a direct and unambiguous cause. If “I went to Tokyo because of work”, that implies that my boss said, essentially, “You must go to Tokyo.” In other words, there was something causal about my work situation that absolutely necessitated my trip to Tokyo, perhaps at the risk of my job. If during a holiday, I choose of my own free volition to take an enjoyable trip to Tokyo, then it would be wrong to say, “I went to Tokyo because of a holiday” — that latter construction implies a strict sequence of cause-and-effect. If I say “I went to Tokyo because of a holiday”, that would seem to imply that there was something about the nature of the holiday that, for some reason, utterly necessitated my trip to Tokyo, some external requirement beyond my free will. That’s not the case with pleasure trips. For example, sometimes I do say: “I traveled back east because of the Christmas holidays.” What I am implying there is that there is something causal, something beyond the operation of my spontaneous free will. Indeed, my family back east has non-negotiable expectations that I will make that trip every year, so phrasing it in that way points to the causal elements that are beyond my control. It doesn’t contradict the fact that I also want to go, of my own free will, but it points to the elements beyond my control. You are quite welcome, my friend. I am very glad you found this helpful. Best of luck to you!